Looking for a USED GF12/20? The GF12/20 is a high-performance vertical machining center designed with a large 1,000mm Y-axis to make it ideal for machining medium to large dies and molds. Fitted with a high-speed 8,000 min-1 spindle as standard for FF machining, the gear-driven No. 50 spindle generates maximum torque of 410 Nm to shorten rough machining time. The high-speed spindle uses Makino’s oil jet lubrication system for superb accuracy. Amply wide and thick slideways can support workpiece loads up to 7 tons. 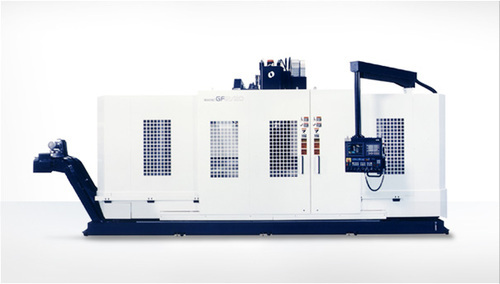 Looking to Purchase a New MAKINO GF12/20?